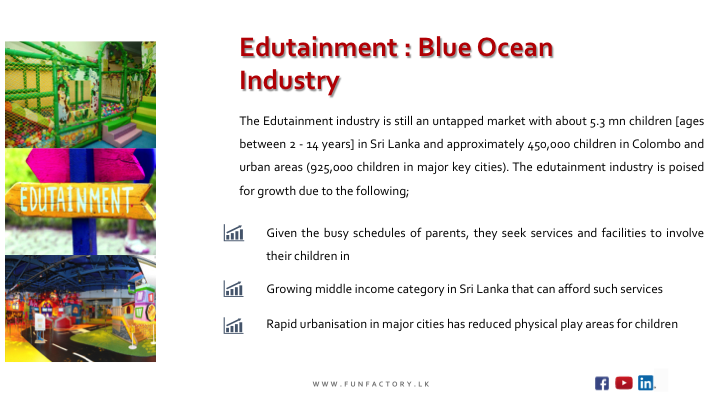 The concept of education through entertainment popularly known as “Edutainment” is steadily gaining popularity in Sri Lanka. 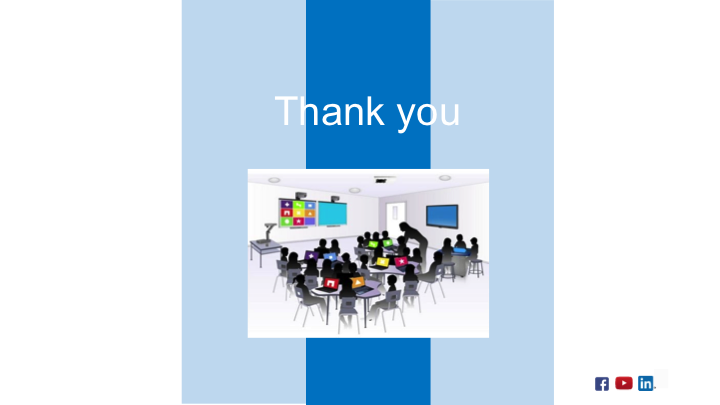 This is as parents acknowledge the value of organised indoor play centres as a tool for effecting childrens’ learning. Such facilities engage kids in creative and hands-on activities in a fun manner, thus developing social skills through their interaction with other children. 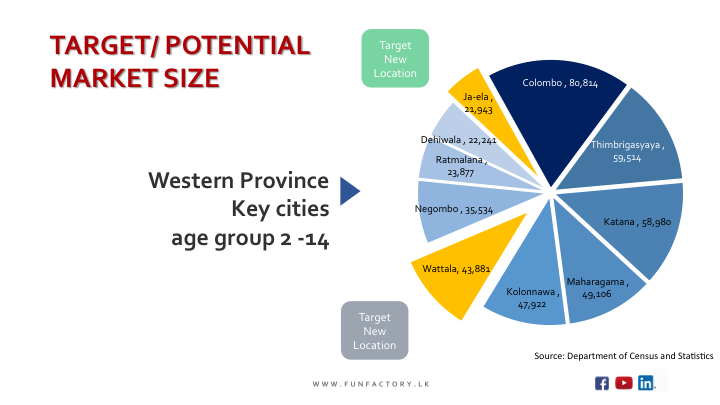 Edutainment remains a largely untapped market in Sri Lanka, with a potential of up to 450,000 children within Colombo alone. Nuclear families are living increasingly busy lifestyles with two working parents. 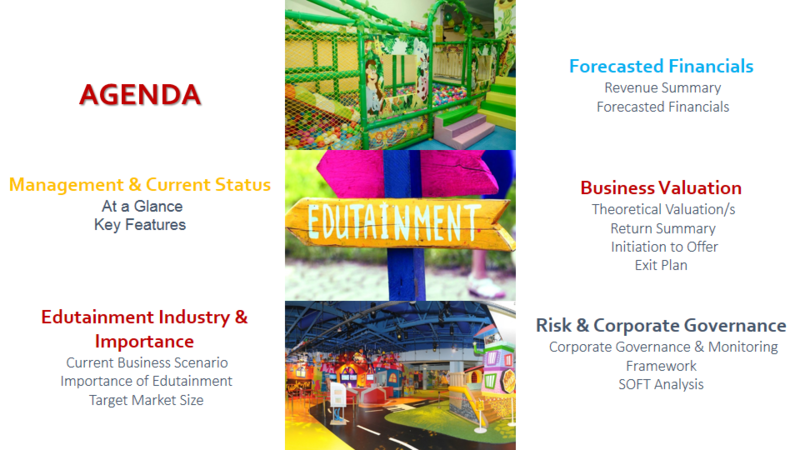 This coupled with higher income levels among the middle-class remain key demand drivers for indoor play facilities. 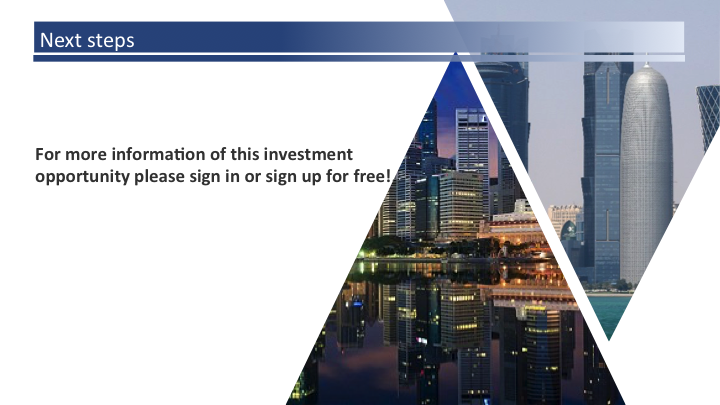 The showcased investment opportunity is one such enterprise, offering a safe and monitored environments for children to explore, play and learn. This is and ideal indoor entertainment alternative to the increasing use of screen time (smartphones/tabs/TV/laptops). 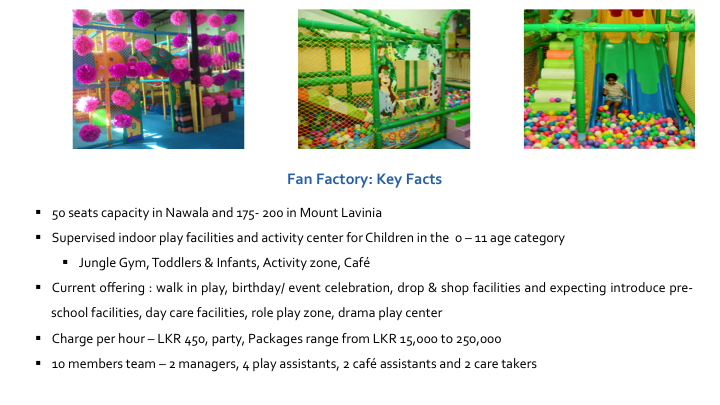 Fun Factory currently has a total capacity of up to 250 children across its two locations at Nawala and Mount Lavinia. 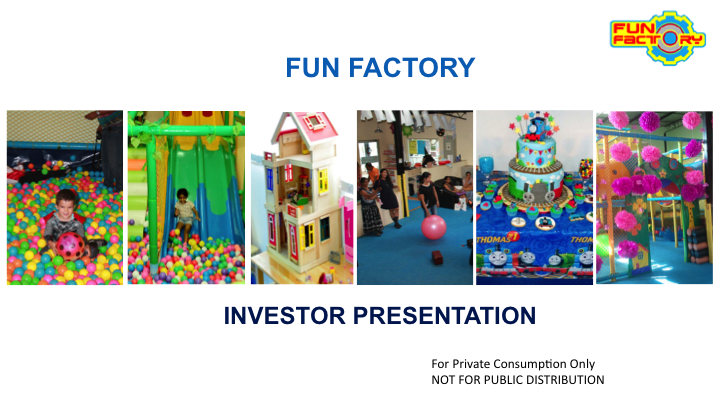 The locations offer a range of packages including walk-in play, birthday/event celebrations, and drop-and-shop facilities. 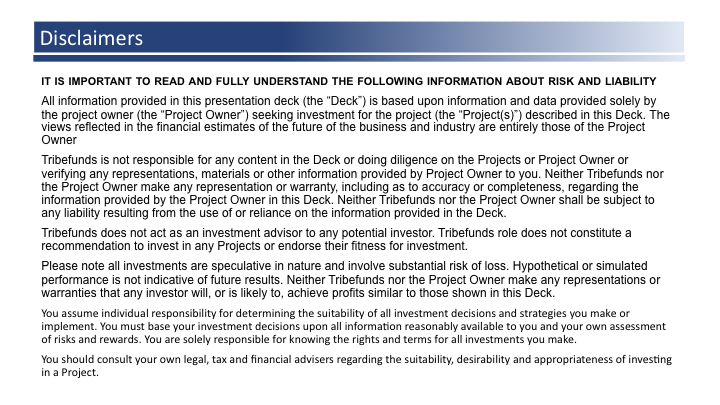 The company is now seeking an investment of LKR 10 million (in return for a 20% stake in the business) to support its expansion plans. 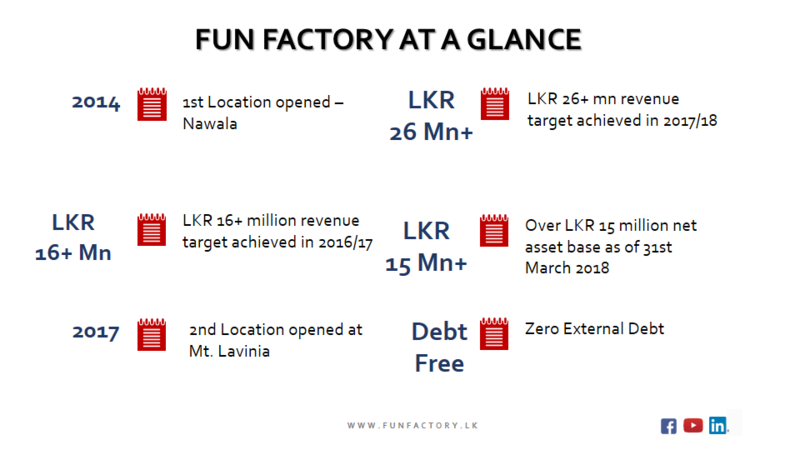 The company aims to use this capital to open a new facility in either Ja-Ela or Wattala (urban areas), with a capacity of about 200 children. 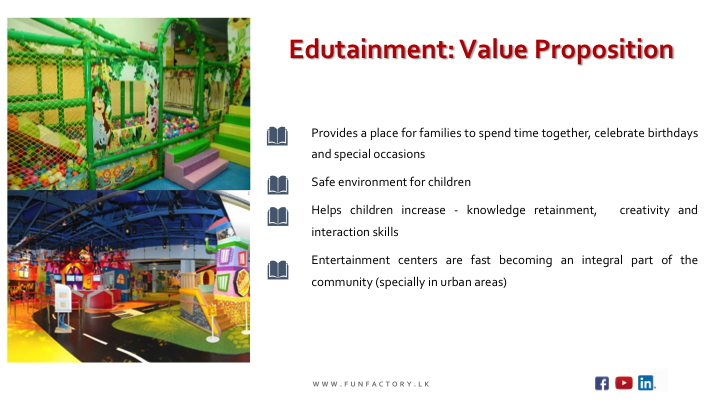 New activities will include pre-school and day-care facilities, a role play zone as well as a drama play center. 2) A place for families to spend time together, celebrate birthdays and special occasions.